Making Mama's Milk is offering our readers a giveaway of one month's supply of lactation cookies and a branded tote bag, a value of $65. Making Mama's Milk & More is a small business started by a real mother that experienced milk supply problems herself. She wants to help other women avoid this pitfall of nursing relationships. They make their cookies by hand; no factory processing here! When Spencer was 1-2 months old, I was faced with a supply issue. I'd had an issue with Sasha, but eating a little oatmeal each day fixed the problem. This time, though, I tried lactation breakfast bars, oatmeal, lactation cookies, herbal supplements, drinking lots of water... nothing worked. I finally had to get donor milk. I actually felt a little guilty for volunteering to review this product, having little faith it would do anything for me. The cookies smell heavenly! Much like the lactation breakfast bars and other (homemade) lactation cookies I'd tried, these were addictive. As soon as I received them, I ate half a package of cookies! Later I looked at the instructions on the site. Oops! I was only supposed to eat 1-2 cookies and drink 16 ounces of water with them. So I didn't drink any extra water that first day, but I still felt as though I was making more milk by bedtime. That night and the next day I only ate 2-3 cookies at a time. I always drank water with them. And I started actually soaking through my nursing pads and bra! That probably sounds awful, but it was a clear sign that I had an increase in supply. Not only that, Spencer then started to refuse bottles so it was good timing. The cookies came with a lovely note advising me to freeze two packages and defrost new packages as I ran out. Unfortunately, the cookies sat in my PO box for a couple of days before I got to them. Still... loved them! The next cookies I tried were the Oatmeal Raisin. I don't consider myself to be a big fan of oatmeal raisin cookies, but these are really good. 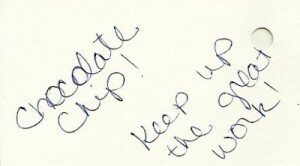 I saved the Chocolate Chip for last, since that is my favorite type of cookie. They weren't my favorite this time. My absolute favorite cookie was the Butterscotch! Poking around on the Making Mama's Milk & More website, I would say it needs a little proofreading. It also seems to be mostly aimed at WOHMs, but obviously SAHMs can also use the help. The ingredient page says "No more smelling like Maple Syrup!" but by the time I was done my arm pits smelled like maple syrup (a common side effect of fenugreek). I attribute this to eating so many cookies, though. I only ate 1-2 at a time after the first day, but I ate them multiple times per day. If you eat them the way I do, a month's supply won't last a month. We had one other side effect: My infant son's bowel movements got thicker (happened with other lactation snacks, too) and it took on a horrible odor. This may also be attributed to eating so many cookies in a short amount of time. The amazing thing? I have not had to supplement once since I started eating these cookies! Remember all those products I said I tried that didn't work? These worked! Nearly a month later, I still haven't had to supplement! I have a freezer full of donor milk to pass along. I absolutely recommend these cookies for any nursing mother or as an amazing gift for any nursing mother! 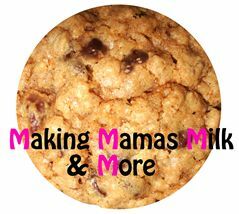 Making Mama's Milk & More even has a deal where you can subscribe for cookies. They'll send your order every month on the same day. By subscribing, you get bonus free cookies and free shipping! One more thing: Did you see the cards above? Each bag of cookies had a business card attached. 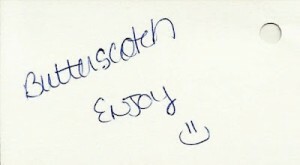 On the back of the card, the flavor was identified and a sweet, supportive, personal note was added. 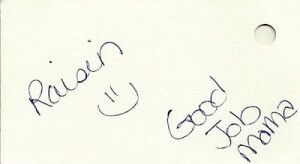 These sweet notes were just the icing on the cookie, so to speak. 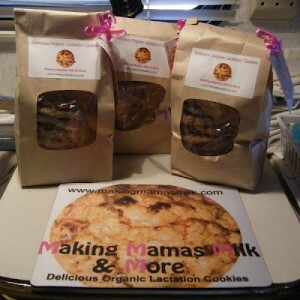 You can purchase your own 30 days supply of Lactation Cookies at Making Mama's Milk, for $45 excluding shipping. And, when ordering a subscription you get 40 cookies instead of 30 per month and FREE shipping. For your own chance to win a Months Supply of Lactation Cookies & Branded Tote Bag from Making Mama's Milk, enter by leaving a comment and using our Rafflecopter system below. The winner will receive one month's supply of cookies (30 cookies) and a branded tote bag. Contest ends 5/26, and is open WORLDWIDE. MANDATORY ENTRY: Visit Making Mama's Milk and tell us one ingredient included in their cookies which enhances milk production! 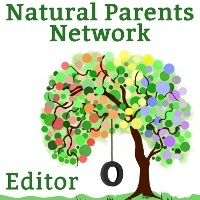 You must enter your name and email address in the Rafflecopter entry system for your entry to count, after leaving a comment on this blog post. Contest closes May 26th at 11:59 p.m. Eastern Time. Flax seed is an ingredient that increases milk supply. fenugreek helps with milk supply! i would love to try these cookies! I would love to try these cookies. I am nursing my 7 month old, and am dealing with supply issues as she's transitioning into solids. These cookies have Fenugreek and also have flax seed that helps increase the DHA in the milk. My friend who has a 9 month old and just found out she is pregnant with twins that are due in November. Fenugreek is what helps increase the milk. These cookies actually sound good. Thanks for the giveaway! I'm going to ehjoy eating and sharing these cookies with my family. I will!! To help make milk for this little girl kicking me right now! !